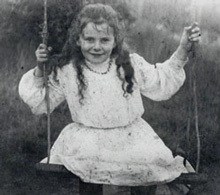 Eleanor Dark was born Eleanor O'Reilly on 26 August 1901 in Croydon, Sydney. Known to her family as Pixie, she wrote from an early age. Eleanor married Dr. Eric Dark in 1922 and the next year they moved to Katoomba with Dr. Dark's son John. Their son Michael (Mick) was born in 1929. She wrote 10 novels (see below), and had verse, short stories and articles published in a wide variety of journals including The Triad, Bulletin and Woman's Mirror. 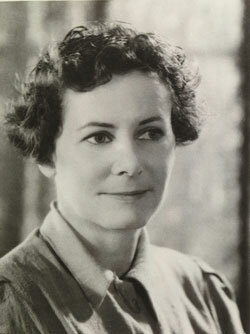 Her novels Prelude to Christopher (1934) and Return to Coolami (1936) both won the Australian Literature Society Gold Medal for literature. Eleanor Dark was a meticulous researcher and as far as her daughter-in-law Jill is aware, no one ever found a mistake in her historical books. She admitted though that there was a mistake but she wouldn’t tell anyone what it was. 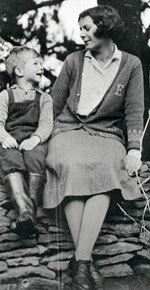 Her son Mick was under the impression that on a certain day she wrote that it was fine and historical records say that it was raining. In 1977 she was appointed an Officer of the Order of Australia for "services to Australian literature". Eleanor Dark passed away on 11 September 1985 and her husband, Eric, in July 1987. 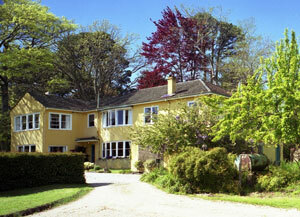 Mick Dark decided that Varuna, their family home, should become a gift to Australian literature in memory of his parents. In 1989 the Eleanor Dark Foundation was formed and Mick gifted the property to the Foundation. 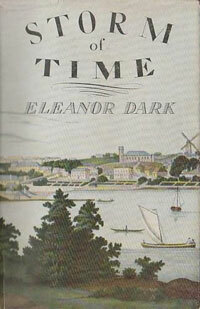 Barbara Brooks' essay on Eleanor Dark can be found here. Biographies of Eleanor Dark and Eric Dark can be found at the Australian Dictionary of Biography. 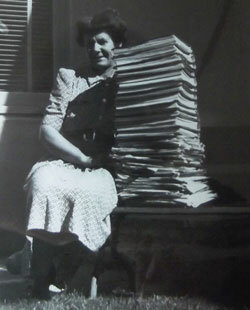 Eleanor's early novels were written by hand. The manuscript of The Storm of Time shown here had 350,000 words. 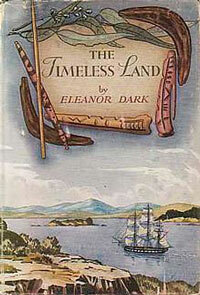 The Sydney Morning Herald's review of The Timeless Land concluded with "It is the outstanding Australian novel of 1941." 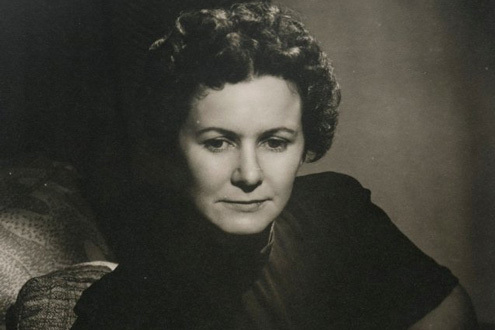 Eleanor Dark wrote 10 novels, and her published work also included 27 poems, over 20 short stories and 1o essays/articles. The Timeless Land Trilogy consists of the novels - The Timeless Land, Storm of Time and No Barrier. They cover the first 26 years of the fledgling penal colony of New South Wales. What follows are the publisher's (HarperCollins) overview of the novels. The dust covers are from early editions. An outstanding literary achievement, meticulously researched and deeply felt, this portrait of the earliest days of the European settlement of Australia remains unrivalled. The year 1788: the very beginning of European settlement. These were times of hardship, cruelty and danger. Above all, they were times of conflict between the Aborigines and the white settlers. 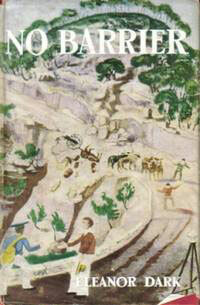 The cast of characters includes figures historical and fictional, black and white, convict and settler. All the while, beneath the veneer of British civilisation, lies the baffling presence of Australia, the 'timeless land'. Book two of The Timeless Land trilogy, The Storm of Time continues Eleanor Dark's sweeping saga of colonial Sydney under governors Hunter, King and Bligh. Sydney Cove, 1799, and three years since Governor Phillip departed. Against a background of continuing convict settlement, hunger, rebellion and the terrifying force of a barely understood land, the saga of Ellen Prentice and the Mannion family continues. Stephen Mannion marries the lovely Conor Moore and brings her back for Ellen to serve. Johnny Prentice goes bush - and re-emerges for one last confrontation with his old master. Book three of The Timeless Land trilogy continues the story of colonial Sydney up to the crossing of the Blue Mountains. The story of the Mannion family continues after the Bligh rebellion. As the young Mannions grow to maturity, so too the settlement at Sydney Cove develops into a town of substance. And later, the longings of young Miles Mannion are echoed in the efforts of the settlers to spread to the west. The discovery of a route over the Blue Mountains west of Sydney means there will be no further barrier.